Just the Right Amount of Sweetness…. I’ve always liked the way scones look and maybe just the name, but had never attempted to make them. 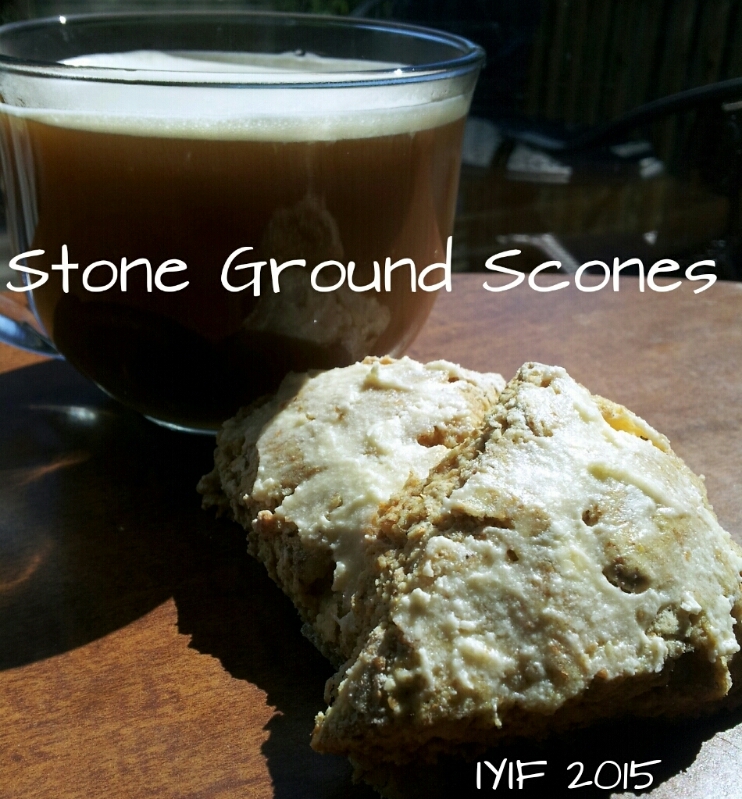 So, after days of research and several trials and errors, I came up with the perfect little scone for any occasion. 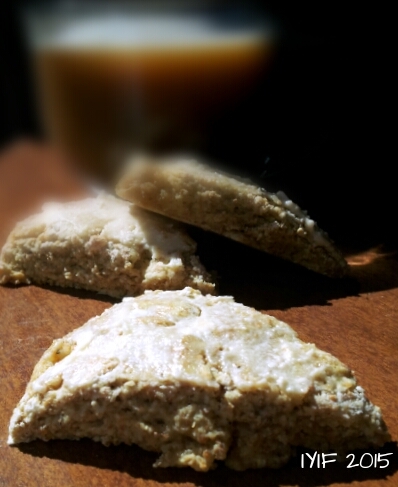 They are made with half stone ground wheat flour, light butter, and have just a hint of sweetness so they are good for a snack, breakfast, dessert, or a side with a meal. They are lightened up from original scones, but have all the buttery goodness that their heavier relatives produce. For those who might hail from different parts of the world these scones are baked, originating in Scotland, Ireland, and England, but it was brought to my attention that there are also deep-fried scones in other parts of the world, and the United States, more like a fried bread. I thought I would point out what type these are since I don’t want to disappoint anyone who may be used to eating the fried type of scones. Making these little bites of yum was actually really easy. But through a couple of batches, and massive research I can give you a few tips to help your baked scones turn out just right the first time. 🙂 First make sure your butter is straight out of the refrigerator. The first time I cut the butter into the flour with a fork, the second time with a pastry cutter, but after reading a recommendation on my hunt for perfection (I wish I could remember where) it was suggested that actually using your hands to cut the butter into the flour works best, leaving mostly almond size chunks of butter, and a few pea size chunks. I found out from the second batch that using too much real sugar; will make an absolute mess of your scones. They just won’t work. And last but not least, most recipes call for too much milk. I used ½ of a cup of milk in my first recipe and it turned out good (I used 1%, most recipes call for whole, half and half, or cream), on my second recipe I used almond milk and that was a disaster, not enough fat, and then on the third and best batch I used ¼ cup of 1% and it was perfect. The dough looked a little dry, but as I patted it out before cutting it into triangles it all came together perfectly! So, now you’ve had a little geographical history on scones and a little cooking 101 you should be ready to bake the absolute best scones of your life! And here is another little fun fact, a normal scone will generally run you about 145 calories, these guys are only 81 calories! They may not be fat-free, dairy free, or anything like that, but they are a lot healthier than traditional scones, and for that you can allow yourself to indulge a little. Enjoy! These pastries taste good all on their own, but if you want to dress them up a little bit you can add a glaze of a little bit of butter and powdered sugar stirred together and frosted over the top. If you do this while they are still warm it will turn from a frosting into a beautiful glaze.